The particularity of this family of cheese is the diversity of the cheeses, but they all have one point in common which is the pressing of the curds whilst being drained. The rigorous selection of the milk avoids problems in the fabrication (there should be no heteroferment lactobacilli as this causes the pate to rise later). A thermal treatment (63 to 65°C for 15 to 20 seconds) limits the risk of this inflating. When the milk is curdled using rennet the milk has been slightly matured by the small quantities of weak acidic ferments. The temperature is maintained between 32 and 36°C and the coagulation lasts for 30 to 45 minutes in general. 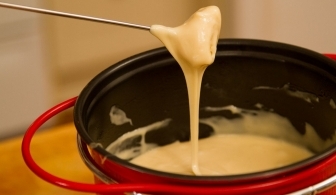 The curds obtained can not drain spontaneously, they undergo treatments to accelerate and intensify the draining process. The curds are cut then mixed in the vat for 30 to 90 minutes to eliminate the whey. 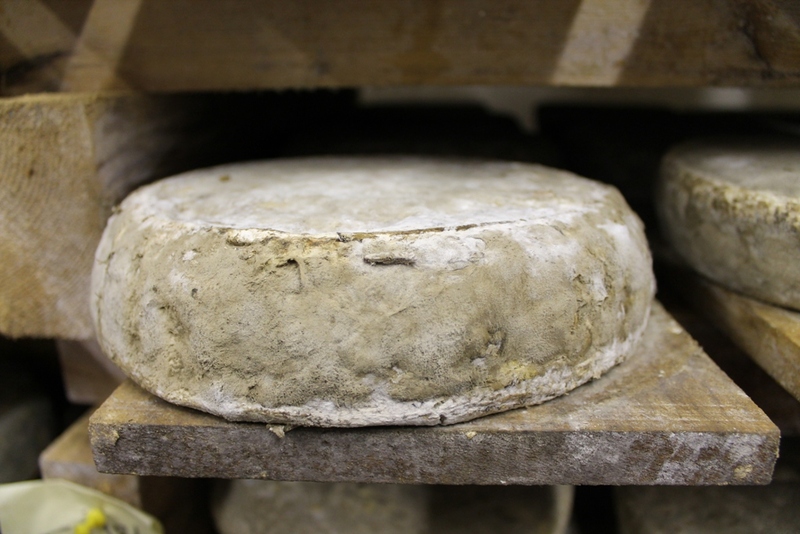 Often the whey is eliminated and the curds are washed before being put in the moulds. The draining in the vat is followed by a pressing of the block of curds (the cake). They are pressed and cut several times before being salted and then put in the moulds (this is the case for cheeses like Cantal, Salers, Languioles) or the curds are salted in the moulds (Reblochon, Saint Nectaire, Saint Paulin, Tommes…) The intensity of the drainage obtains an elevated level of dry matter (44 to 55%). It is during the pressing that the ferments begin the acidification of the pate. The cheeses which are not salted before, are plunged in a bath of brine before being put on the drying rack, and then in the cellars to mature. The maturing process takes 2 weeks (Saint Paulin) 2 to 3 months (Tommes, Morbier, Cantal) or more than a year (Salers, Laguiole) in a humid cellar, at a temperature of 10°C to 15°C.